Legends of Tomorrow Season 2 Episode 14 Spoilers, Air Date, Promo: LoT 2×14 releases on March 14, 2017, on the CW. In search of the final piece of the spear of destiny, prepare yourself to meet with another member of JSA as Commander Steel returns! Last week, Rip Hunter finally returned with his former team. Keeping the tension alive reverse flash is going to give a visit to the moon. Recent promo is not revealing so much, but it is looking very enjoyable episode which will definitely take forward the compelling story of LoT. Episode 14 is oriented to the returning guest star Mathew MacCaull- the legends track down Commander steel. As they discover that he only has the final piece of the Spear of Destiny. And then Legends went back to the era of 1970 where they came to know that Commander Steel is a member of the NASA team at the height of the space program. Check: Game of Thrones Season 7 Release Date. During the time of Apollo 13 mission, the Legends’ mission quickly takes an unexpected turn as the team finds the time aberration and came to the conclusion that legion of doom might be involved in that. The wave rider coincides with very dangerous internal damage as a journey of legends into space is to intercept Apollo 13 in hope for preserving the history. In their rescue mission, Ray is unable to leave the moon and has left his life in danger of death. In between all this, tension arises between Rip and Sara for the position of leader in the team. In one interview with Entertainment Weekly, Lotz was agreed on the point that Rip had done lots of things to Sara which she may not be deserving. And as we all know about Sara’s nature; she does not forget so easily and hence though Rip is back to his old self he will not be succeed to get back to his role of a captain. In one news of Legends of tomorrow S2 J.R.R. Tolkien is going to appear in the season finale. 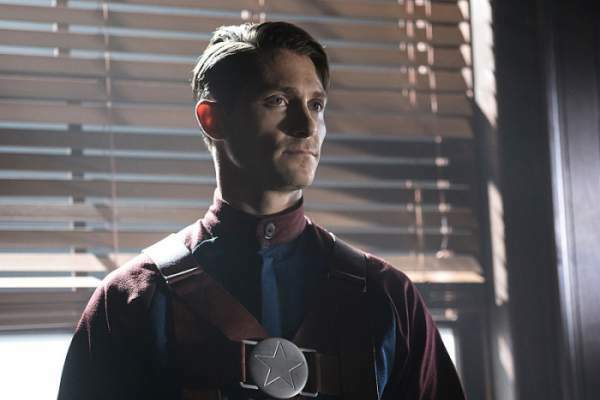 So it will be very exciting to see the Matthew MacCaull in his reprised role of Commander Steel in upcoming episodes of LoT. There are many things going to happen because of Commander Steel’s return. Of what you are most excited about? When the Legends track Commander Steel to NASA Headquarters in 1970, they discover where Nate’s grandfather hid the last fragment of the Spear of Destiny; tension grows between Rip and Sara over leadership of the team. Brace yourself for the next episodes.